Self-defense method that involves teaching techniques based on biomechanical principles of the human body and respond to those who are the natural instincts of man; simple techniques, realistic and above all effective. After a short time learning the practitioner immediately acquires the basic techniques to defend themselves against an aggressor, whether armed or not, with sudden body movements sometimes mundane but necessary to avert a real attack. The Kapap Lotar consolidates those that are natural reactions, instinctive man, therefore, the basic program is assimilated quickly. Self-esteem grows as you add defensive techniques baggage practitioners who will have more confidence and positivity. During a situation of real danger take over several factors such as fear, increased heart rate, breathing difficulties, the feeling of weakness, tunnel vision that may prevent or slow down the reaction phase. That is why the Kapap Lotar includes a series of physical and especially mental conditioning that simulate real-life situations of danger recreating the same scenarios and the same physical and mental disorders. You will then need to train and accustom the mind to react under stress in the shortest possible time and with determination, moreover, developing the capacity to manage the unpredictability of events. Crucial factor is the prevention, understand and analyze dangerous situations in order to avoid those main aim being to avoid confrontation, and only when this is not possible, to defend themselves. Attach great importance to the "personal boundaries" and body language; training the glance, the instinctive reflex and peripheral vision. The student will learn and then to develop a defensive mindset that will carry for the rest of life. The Kapap Lotar in addition consists of areas reserved exclusively to the Armed Forces and the Order; addition Techniques and Tactics Operative Police, CQB (fighting indoors), Antiterrorism, Survival, Tactical Medicine Basica. The Kapap Lotar so it is taught in two versions: one for civil defense road, and another military and police. The Kapap Lotar adapts perfectly to any type of fighting that in his "acyclicity" and "situational" allows you to overcome any kind of adversity and prepares him to almost all situations and scenarios. The Kapap Lotar in civil ensures primarily an increase in inner confidence and even very often, even in a total development of self-esteem, feel safe and secure is an indispensable condition of our times. "Freedom" is a right enshrined in the Constitution but even very often in our daily lives, freedom is not always guaranteed. The Kapap Lotar is particularly suitable for women allowing a better understanding of themselves, their bodies and be protagonists of what happens around them, to sense when the danger is real and choose the options: flight, fight, cry for help , especially in situations of emotional stress. The ethical component involves the use of physical defense as a last and very last option, only when it is assessed that there is no other possible solution, without yielding to provocations. What is taught to the participants is the use of a defense not brought to the event and in confusion, but an automatic response that takes into account a rapid analysis of the context and is realized through a few simple techniques brought to the sensitive points of the aggressor . The Kapap Lotar want to give a strong and valuable contribution to return to the woman's ability to feel safe and protected, creating a separate department devoted solely to self-defense for women. The Kapap Lotar in the military and police to suggest the right mental attitude that will allow operators to Police, Military and Private Security to overcome emergency situations with the least possible damage to itself and to the attacker. This, in view of the fact that the defender must scale the intensity of the reaction in relation to the attack, in full compliance with applicable laws, but also of the fundamental rules of morality and ethics. Practitioners will be prepared for all situations and against any kind of weapon, will be able to defend himself and the person next in all circumstances, will also recognize and use any type of firearm con'abilità out of the ordinary. The Kapap Lotar is characterized by the method of training, which wants to simulate operating environments as similar as possible to reality, considering all possible reactions, accidents, physical and psychological stress, in order to be ready and responsive to any situation, even the most extreme. And 'particularly suitable for those who have to make important decisions in a short time. The goal is to give you the tools that enable better control of complex situations which will be compared to the performance of their functions, all this in environments where excellent analytical skills of the operating environment (Environment, Subjects, Threats) and where the time factor is crucial. The Kapap Lotar began to be disclosed outside of Israel in 1999, and carefully divided into very specific programs. This happened because now the traditional martial arts taught and teach exclusively the "out of competition" and the defense was only a substitute for kata. The Kapap Lotar has returned to light after the terrible and high security requirements, a real self defense. Lotar Kapap instructors in Israel today train the 'IDF (Israel Defense Forces), the Yaman and Shabak, practically the first departments. The techniques of Kapap Lotar for years remained secret and available only to soldiers of the Israeli Defense Forces (IDF) are designed, developed and aimed at survival. Conceived prior to Krav Maga to which, however, must many of its developments, Lotar Kapap Krav Maga while sharing with the principle that: No one is authorized to rage in a violent manner without incurring reactions, is different from the same areas of application for civil or military. The Kapap Lotar techniques, such as Krav Maga, as we know them today, are the result of a continuous process of experimentation, adjustments and corrections made in real-world, field-tested. 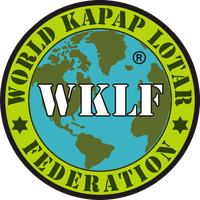 The Kapap Lotar was not just a system, but a mixture of rigorous physical conditioning, weapons training, survival training, first aid and advanced self-defense. Training in unarmed combat was a combination of Western systems of combat such as boxing, wrestling greek-Roman and British military training knife and stick. The system included a variety of military techniques of hand to hand combat with the enemy / assailant unarmed or armed with pistols, rifles, machine guns knives, sticks and any other kind of arms.